...is how I like to describe myself and my life. Bensimon shares this same philosophy which is probably why I was so smitten during the Parisian-themed launch of the French sneaker brand at Enderun last night. Enderun already boasts of beautiful architecture and its gorgeous elements were extra emphasized last night when the people behind Bridges PR transformed one of their function rooms into a mini-Parisian street setting complete with a cafe, market, and art gallery. 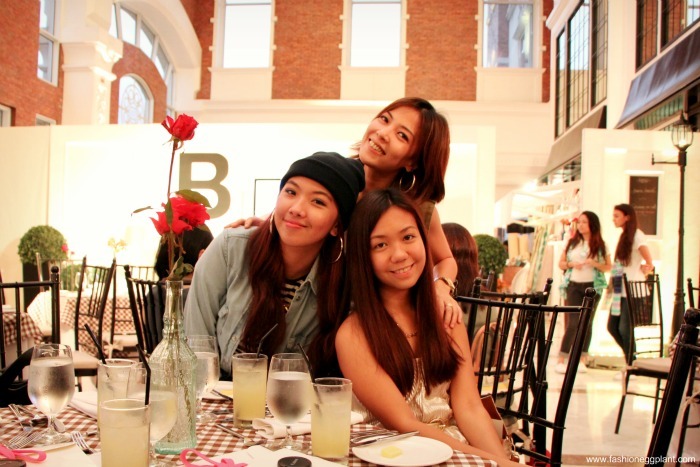 The reason behind the elaborate set-up was so we could experience first-hand what Parisian living feels like. since this is primarily what Bensimon is really about...an appreciation for heritage, the artisanal and handmade + the effortless, "perfectly imperfect" street style chic of Paris. created 30 years ago by two brothers; Serge and Yves Bensimon who wanted to capture the true meaning of the Parisian love of life into an iconic pair of sneakers that embody the simple, effortless and natural way of living in Paris. Bensimon sneakers are inspired by travel, military and true Parisian fashion. I grabbed me a gorgeous, bright yellow pair of Bensimons that I am already in love with. They are super flexible, comfortable and they feel like "covered flip-flops" when walking. I also love the fact that you can just throw them in the washer and hang to dry when they get dirty. Bensimon makes it possible to be chic yet comfy at the same time so it gets a two thumbs up from me! price range is from P2095-P2565 for men's and women's styles and P1295 to P1795 for kids. and don't forget to follow Bensimon Philippines on Twitter, Facebook and Instagram (@bensimonphilippines) to receive new updates.